Volunteers for a one-way trip to Mars may survive less than three months on the Red Planet under the current plan for the Mars One project, a new feasibility study suggests. But Canadian Mars One candidates say they're still keen to go. Volunteers who want to take a one-way trip to Mars and spend the rest of their lives on the Red Planet could expect "the rest of their lives" to be as short as 68 days — if the project blasts off at all, a new study suggests. The plan for Mars One, a project that aims to establish the first human settlement on Mars by 2025, has potentially deadly and astronomically expensive flaws, according to a feasibility study by researchers at the Massachusetts Institute of Technology. 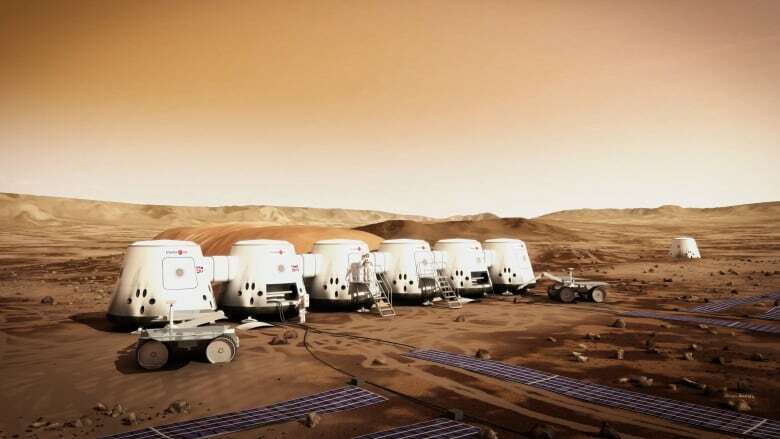 But Canadian candidates for the Mars One mission say they are still keen to volunteer and are certain that any issues with the plan can be worked out. 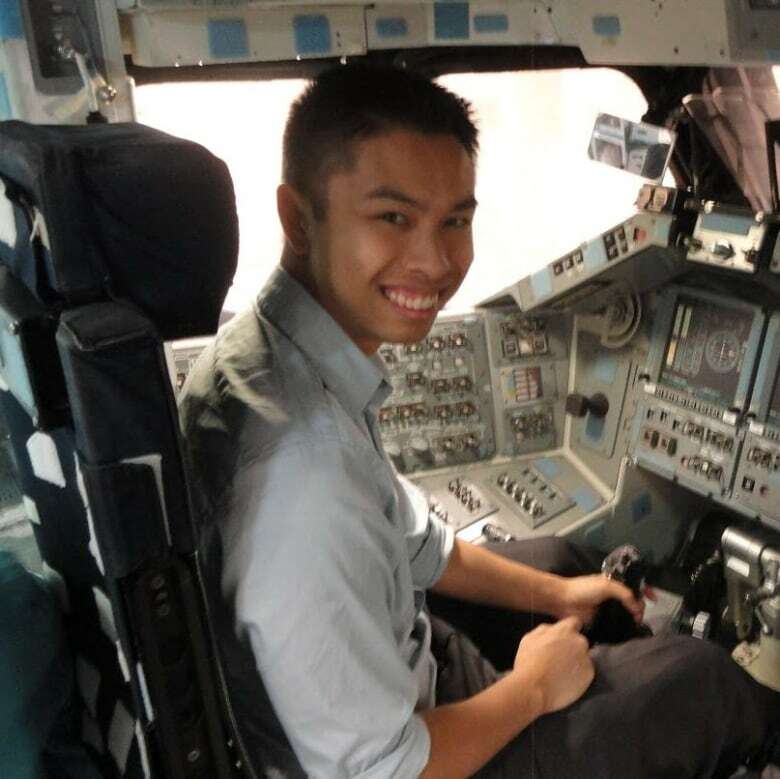 The new feasibility study was led by Sydney Do, a PhD candidate at the Massachusetts Institute of Technology who has done similar studies on other space missions. Do and his team ran a computer simulation based on publicly available information about the Mars One plan and the kinds of technologies it would rely on. "One way to think about it is it's a Sim City for Mars," Do said, referring to a popular video game series that simulates urban development. The researchers entered data about the crew's age, weight and activities to find out how much food, oxygen and water they would need. They took into account information from Mars One, such as its plan that "food from Earth will only serve as emergency rations" and the astronauts will mainly eat fresh food they grow themselves. The simulation monitored conditions in the Mars One habitat over 26 months – the amount of time between spaceships from Earth that would resupply them — or until the death of a crew member, whichever came first. The first run showed that without special nitrogen-generating equipment, the first human would suffocate in 68 days, the researchers reported in a paper presented recently at the International Astronomical Union conference in Toronto. That's indirectly because the habitat would have to vent itself to prevent pressure buildup from oxygen produced by crops in the habitat. A machine that would fix the problem would be "prohibitively large," Do told CBCNews.ca in an interview. "So large that we couldn't land it with one of the landers." That suggests Mars One would need to make some changes to its plan, the researchers suggest. They could grow the plants in a unit isolated from the astronauts' living space or import all food from Earth instead of growing it on Mars. The researchers recommend the latter. Further study suggested that even if all food is imported from Earth, 15 heavy rockets would be needed to carry the first four settlers and their supplies to Mars, costing $4.5 billion US, not including the costs of development, operations, communications, and power systems. If food is grown on Mars, the cost would be $6.3 billion. Mars One has estimated that the total cost to put the first four settlers on Mars will be $6 billion. While Mars One says each subsequent manned mission will cost $4 billion, Do's study found that each mission would cost more than the one before, due to the increasing number of spare parts and other supplies needed to support an increasing number of people. "The plan is not sustainable from a financial point of view," Do said. The researchers suggested costs could potentially be cut by investing in technologies such as 3D printing advancements. That way, they may be able to make more spare parts on Mars instead of carrying them from Earth. In any case, Do suggests that under the current Mars One plan, astronauts will spend most of their time on farming, construction and repairing equipment. That won't leave much time for science and exploration, "one of the main reasons why we want to go to Mars in the first place." He also expressed concern that while Mars One says its plan is "built upon existing technologies available from proven suppliers," his own research suggests many of the technologies are not well developed. They would also only be tested for two years on Mars before humans were sent there. "Someone has to ask themselves: Am I ready to rely on this technology which has been tested for two years to operate for an extra 50 years, since my life is dependent on it?" In an email to CBC News, Mars One CEO and co-founder Bas Lansdorp, who helped develop the mission design, said the plan was based on the company's own studies and feedback from engineers at aerospace companies that make space systems, such as Paragon Space Development and Lockheed Martin. "We are very confident that our budgets, timelines and requirements are feasible," Lansdorp added. Do said he invited Mars One to provide detailed data for the study and also sent them a copy of the paper, but has not heard back from them directly. Claude Gauthier, one of 54 Canadians shortlisted for the Mars One mission, said he thought the study was incomplete and overblown in the media. The 61-year-old University of Moncton mathematics professor said the problems described in the paper could be easily solved by relying on food from Earth, at least for the first few years. But fellow Mars One candidate Paige Hunter, who is from Vancouver, said she's glad someone did a study like this, even if some of the information was "hard to take in," as she had her own doubts about the plan's ambitious timeline. 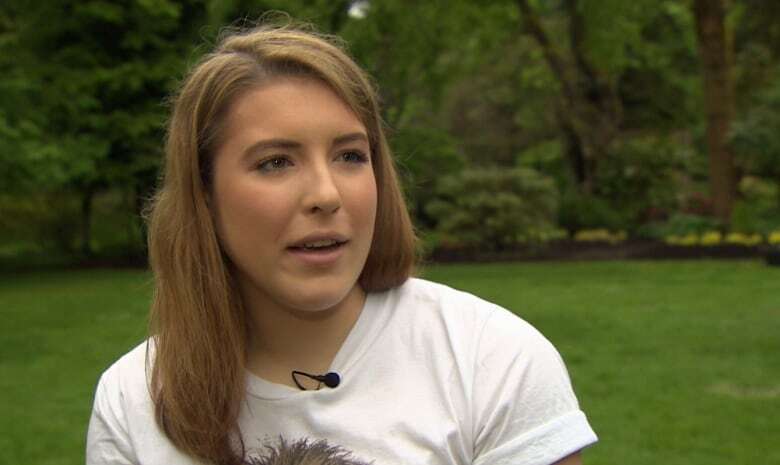 On the other hand, Hunter, 19, who is studying at McGill University in Montreal, said most of the feasibility issues seem to have to do with the cost of the mission – "more of a funding issue than a scientific issue" – so the study doesn't worry her. Mars One candidate Tyler Reyno, of Lower Sackville, N.S., said the risks didn't worry him either. "Obviously, keeping humans alive on Mars is extremely difficult," he said. "You just have to understand there's a lot of uncertainty and a lot of unknowns and those who are passionate and inspired will understand that and do it anyway." All three would-be astronauts said they are still keen to go to Mars. But both Hunter and Reyno acknowledged the study's findings mean Mars One has some work to do in adjusting and refining its plan. "I don't think that's a defeat," Hunter said. "That's just part of the process."